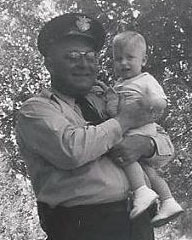 Officer Murphy, sixty-six years ago today, a terrible incident happened to you and two of your brother Corrections Officers. It gained your murderers nothing but the death penalty but it took you three away from family and friends on a date, which is normally associated with celebration. It is as tragic today as it was then. I know in my heart that none of you ever truly left those who survived you. I understand what a difficult job Corrections Officers have and I thank you for your service to the Commonwealth. You truly are a hero. I am saddened that you and your families new begining, became your demise. Your story, along with your fellow Officers, is still legendary today. Your are not forgotten and sadly missed by family and friends. In the line of duty, another hero pays the ultimate sacrifice. Rest in Peace. Even though, it is a few days past the 63rd anniversary of your murder and that of your fellow officers, I would like to say thank you for your service and sacrifice for the citizens of Massachusetts. As a former resident of the state of Massachusetts,it's good to know that at that time, Massachusetts treated murderers treated murderers the way they should be. Still Holding That Line, Brother. Rest In Peace. Each day I try to read the ODMP. Today I read your story. Any officer who dies in the line of duty will always be remembered for his sacrafice. You died a hero. Rest in peace Officer Murphy.